Happy Monday friends! It was another bone chilling weekend here in New England so our outings were minimal. As much as it stinks not being able to get outside more, it does give me a great chance to be super productive at home! Thought I'd share a little bit of what I've been up to! For the last couple of years Gary and I have wanted to visit the Ice Castles in New Hampshire and we're finally going this winter! These are all built by hand and use only water and icicles to create the amazing castles. There's a few locations around the US, so you might be near one!! Wearing || All of the layers! Seriously I was wearing leggings underneath my pants pretty much all week because of how cold it was with the wind chill which is why I haven't been sharing any outfits here or on Instagram. All I'm wearing is my winter coat and lots of layers...no bueno! I did purchase these sunnies because I wanted some square frames but I'm never sure how that style looks on me, so these pretties for $9.99 will work just fine! Listening || I've been listening to "Him & I" on repeat also Halsey just has the most soothing voice and her song Strangers is so good! Loving || We had the show Lovesick recommended to us on Netflix and we flew through all three seasons! Each episode is only 20-24 minutes so it's so easy to binge! It's a BBC original and the acting is really relatable! Testing|| I'm getting my first Dazzle Dry manicure this weekend - it's a non-toxic, vegan high performance gel-like polish that doesn't require any light to set it. The top coat allows the nail polish to dry after 5 minutes (without light). What so many of my friends have said is that you aren't giving up the longevity of your manicure while other 5-free polishes don't stay as long. Most nail salons carry Dazzle Dry - you just have to ask for it. 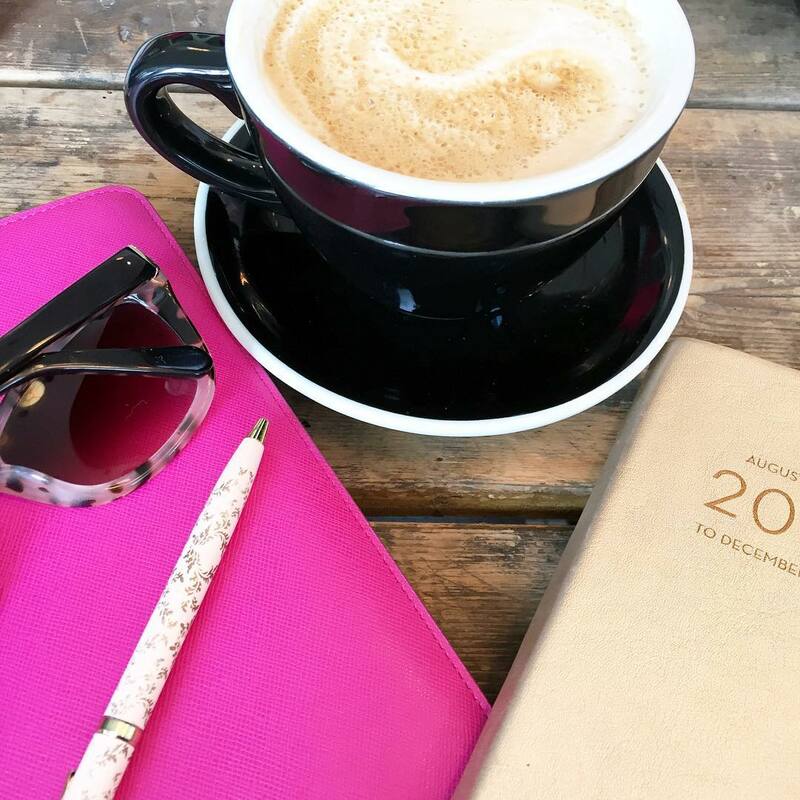 Planning || Our trip to Ireland! We are headed there in March to celebrate our anniversary and this weekend we planned out the route as well as our hotels! It's coming along and I'm so excited since we had a blast doing the drive along the PCH and I think Ireland is going to be even more beautiful! If you've been to Ireland, please share any tips! How was your weekend? Hope you have a wonderful start to the week! I have never heard of Dazzle Dry polish but I love the sounds of it! Great that it doesn't require a light to dry. Looking forward to hearing what you think of it! And how awesome are those ice castles! I need to see if there are any near us! Happy Monday, BIana! Those ice castles look amazing! And I have the booty bands and they are perfect for at-home workouts. Staying tuned to hear what you think about that mani! I do love being productive at home. I adore Halsey’s Music too! Eek, you have to be so excited for your trip to Ireland. A friend of mine just went and said she didn’t want to leave! 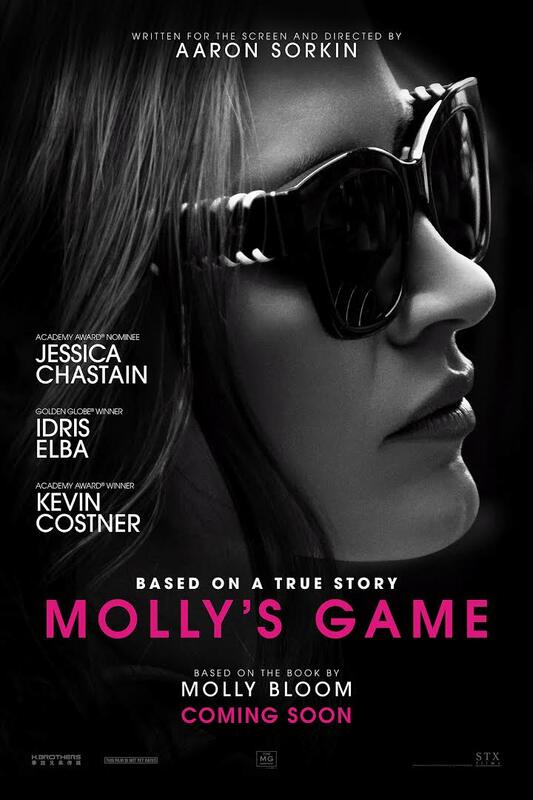 So glad to hear Molly's Game is good! Definitely on my list of movies to see! I definitely need to check out those work outs - I love quick ones! And yay for Ireland!!! I cannot wait to follow along with those travels! Ireland is going to be so fun! And it's been so cold here, too--cold that we're not used to so it's been bitter! Omg I can't wait to hear more about your trip to Ireland! Right now we're debating between Iceland or Ireland for Steven's graduation gift! I know you've been to both so would love to know which you would recommend! Also I really want to see Molly's game. Love anything with Jessica Chastain! Sounds like a great weekend! Ireland is on our bucket list for sure!! Can't wait to see your pictures! I saw Jessica Chastain talking about this movie on Jimmy Fallon and have wanted to see it ever since! Can't wait for it to come out on Netflix. Hope you're staying warm! I need to ask for The Dazzle Dry Manicure ! I told myself that I need to treat myself once a month to a manicure. Yay for Ireland - I have a good friend that went a few years ago and loved it ! 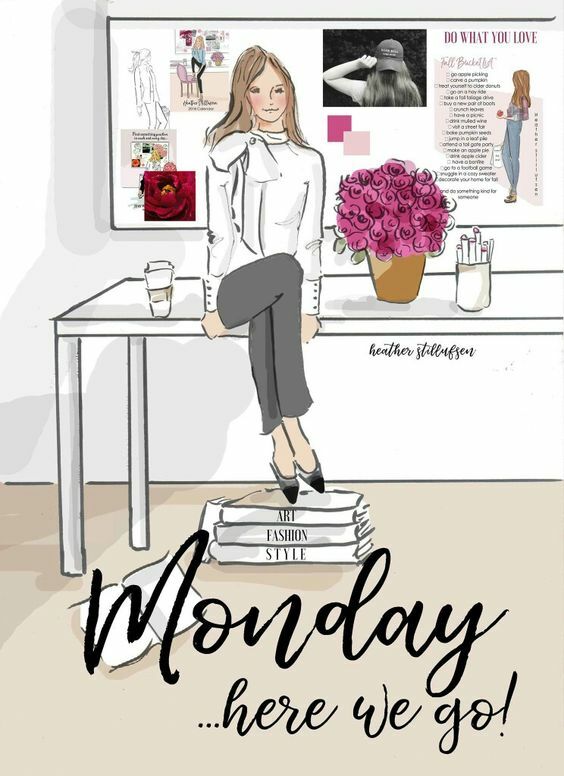 Happy Monday lady ! Stay warm ! I know, it's been insanely cold! We haven't done many outings either. Let's just say that the house and fridge are REALLY clean, haha. I need to order those Booty Bands from Target! I had some bands like this, but they broke during one of my workouts and since I've moved, I don't know of a Models around, which is where I had gotten them. Plus, these are so much more cuter, haha! I used to cook SO many of Ina's recipes when I went through a Food Network phase. I would seriously watch for hours on end, her food is so good. 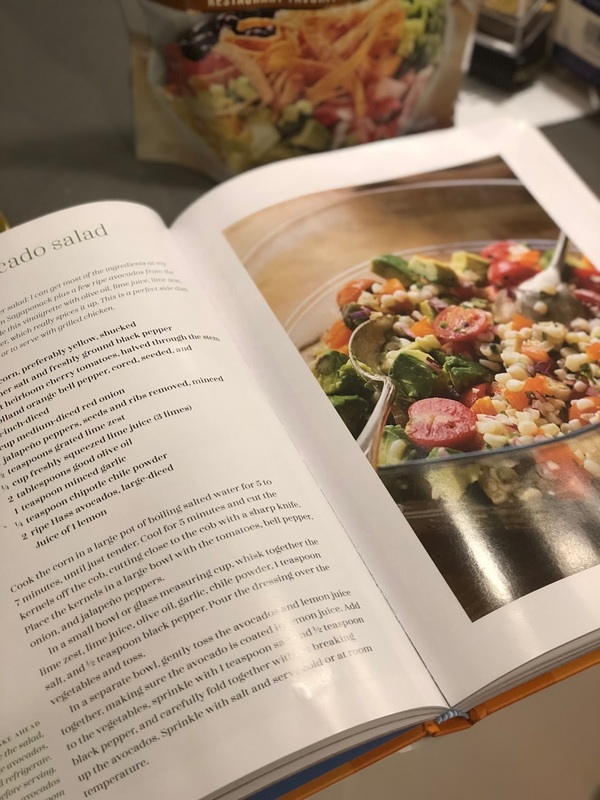 I have to check out this cookbook. 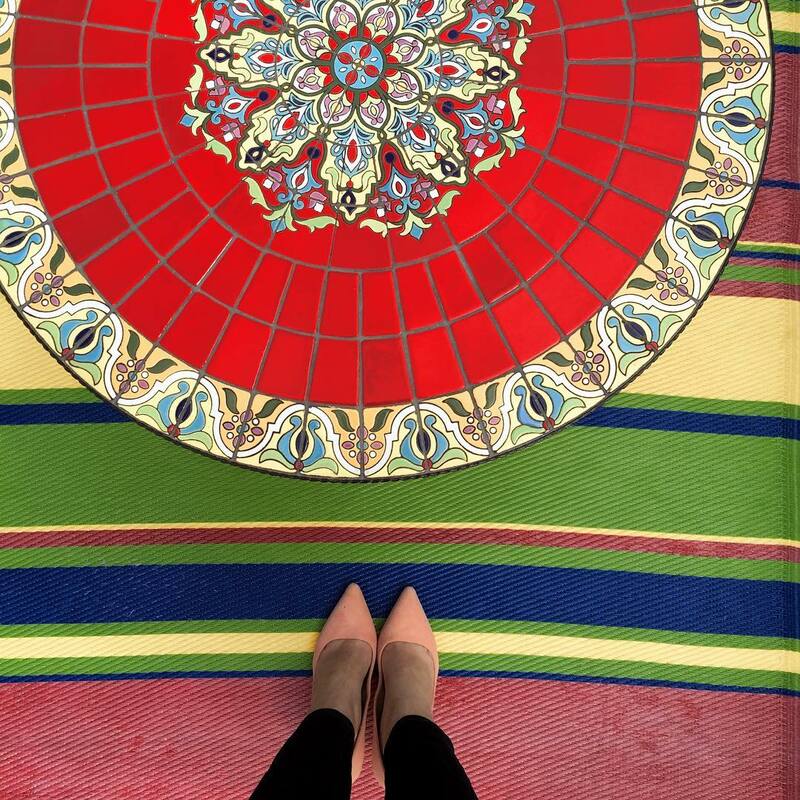 Thanks for sharing your weekend recap with us, beauty; keep warm! I want to see Molly's Game so bad! Can't wait to try these workouts you recommended! And I also can't wait to see/hear about your trip to Ireland! How fun! I need to read Mollys Game! It sounds like it's a good one, I always have to read the book first, then see the movie, so I'll have to catch it on DVD! I wish there were ice castles near me, they look so cool!! I know Ireland is going to be amazing too! Very interested to hear about the nails! And yes to BOOTY BANDS! I've heard great things about Molly's Game! I am wanting to go see it this week! I have to read Molly's game! It looks so good and it's a crazy true story. How amazing y'all are going to Ireland, so fun! The ice castles look so cool-- definitely something I wouldn't mind doing in the winter despite not liking the cold or snow. I only watched a little bit of the Golden Globes yesterday but realized I must be super out of the loop because I hadn't really heard of any of the movies, but when I looked up Molly's Game it sounded really interesting so I'm glad to hear you guys liked it too! It's been so cold here! It's suppose to get warmer here this week which will be like a heat wave for us. haha!! Oh Ireland, how fun! I have been wanting to go to Ice Castles, that will be so much fun. Will you be making a weekend out of it? It's further away from the city than I realized. Too much for driving for me to do in one day. As for Dazzle Dry, I have been doing it since November and really love it. For me, it lasts about two weeks. I really like, much more than gel. I hope you like it. I hear you on the weather girl! We have had single digit temperatures for the past 2-3 weeks!! :-( This week will be the first one where I don't have to wear leggings or long underwear (yes I am admitting to owning a pair haha) under my jeans. Or two pairs of pants to the gym!! Anyway, on a brighter note, YAY to Ireland!! I went with my parents in high school and Chris and I also spent part of our honeymoon there. Let me know if you want any recommendations. :-) Also, those ice castles sound amazing!!! Have a great day! I always love Ina's recipes! That Ice Castles sounds awesome. Can't wait to see pics. Omg so much to love in this post! I want to try a Dazzle manicure now lol. The ice castles are the best!! I was seriously in awe last winter at the Midway ones. And Ireland?! I'm so excited to see where you guys go! It is one of those places I've been saving to explore with an SO because I think it's so romantic lol. What an epic anniversary trip! Thanks for the shoutout, girlie! I hope you love Wasted Words - it’s a take on Jane Austen’s Emma, so a good read. How awesome are the ice castles?! I can’t wait to see pictures! Those ice castles sound so cool! I just went to ICE! at Gaylord Palms and it's so cool to see what they can do with just ice. Be sure to take tons of pictures haha! And yay for your trip to Ireland!! Such a great post! Those Ice Castles sound amazing. i've been so into movies lately and i heard mollys game was good! omg ireland. i mean i can't begin to imagine how much fun you'll have! i have been meaning to get some resistance bands and i'll have to scour my target to see if i can find some cheap ones too :) happy week! Yes!! I'd say you had a very productive weekend! Hubs and I are wanting to see Molly's game, too! I've been loving Him & I too from Halsey, she's got such a unique voice, I love it! Definitely want to watch that movie now! Ireland sounds so fun, and a cold weekend is the perfect time to plan! I cannot believe how frigid it is there, I am cold for you! wait that movie was good?! good to know! i fully expected it to be really bad haha!! and ugh the whole g-eazy album is goooood, so glad he teamed up with halsey!! I will have to check out Molly's Game book! Those sunglasses are so cute. What a great price point. There are a pair of Tom Ford ones that look really similar to those that I have had my eyes on for quite awhile. I might have to get the cheaper version instead. Like you, I am not quite sure if I will pull them off or not. I live for big sunglasses though! I am trying to get back into work outs. The two you shared seem like the PERFECT way to get a good one in that doesn't take a ton of time. Might just go ahead and order a booty band right now! Thanks for sharing those! Ireland sounds amazing! And I need to hear more about how you love this manicure. Oh my, those ice castles look incredible! Can't wait to hear about your time there. Sounds like you've probably got you Ireland trip covered, but if you are looking for any final trip detail inspiration, I wrote posts about all of our stops on our week-long Ireland road trip on my blog (in the drop down menu, go to Travel With Me >> Europe >> Ireland). I bet we have at least some overlap on places visited and the places you plan to visit! Really can't wait to hear about your trip there - it's one of my favorite places! We started offering DazzleDry at our salon a while ago but I’ve yet to try it! Ireland sounds amazing- you’re going to have a wonderful time! Can’t wait to hear more about your Ireland plans! We are hopefully planning a trip there this year, too. I forgot to look for those booty bands when we went to Target last week. Dang! I'll have to remember for next time! I will have to check out that movie. That is so great that you guys are able to travel as much as you do. So lucky! Those ice castles sound amazing and yay for Ireland! :) Can't wait to hear what you thought about The Widow! I can not wait to see pictures of your trip from Ireland! It's going to be amazing. I think I need those booty bands. My cousin spends a lot of time in Ireland and just adores it. You will too, I'm sure. Happy Monday! Those ice castles sound amazing!! What a cool place to visit. Also, that Ina Garten recipe look sooo good and fresh. Ah so glad Mollys game was good!! I really want to see it!! Stay warm! Sounds so cold, I don't blame you for staying in a bundling up! I need to go see Molly's game! So exciting about Ireland! I can't wait to see your itinerary, it is high on my list! Hooray for a trip away for your anniversary! I can't wait to hear all about your trip to Ireland! 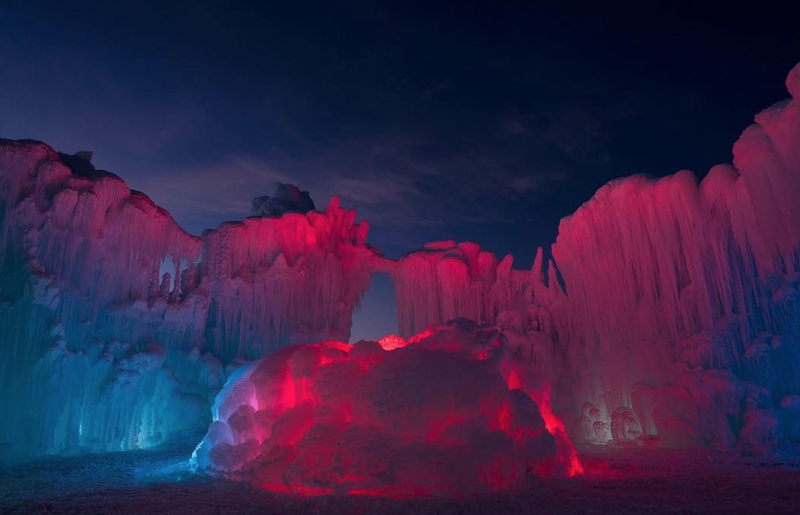 And those New Hampshire ice castles look beautiful! I can't wait to hear about your trip to see them! I soooo want to see that movie. Looks so good. I am glad you liked it. I also want to make that dish. Looks really good. The ice castles look so pretty! Ireland!!! Omg that will be so much fun- and I have never heard of Dazzle Dry, you'll have to do a review! That salad sounds so so yummy! I need to get those booty bands! All about a 20 min work out! I need a new show to binge...I'll try Lovesick! The ice castles are so fun! We have it in Utah and I went last year. Wish I could go again this year but I won’t be in Utah while it’s happening.